I love coffee and cookies. When I was a little girl I loved to steal sips of my mom’s coffee. It got to the point that she started giving me my own cup. Of course mine had more milk than coffee, but still I felt just like the grown ups because I could sit and sip that delicious warm beverage with everyone else. Another thing my mom did was give me a few chocolate chip cookies with my cup of coffee. I would dip the cookies into my coffee and devour them. I still do this. It’s so delicious and brings back great memories for me. If you’ve never dipped chocolate chip cookies into your coffee, try it sometime. You won’t be disappointed. My love for chocolate chip cookies has been passed down to my kids. 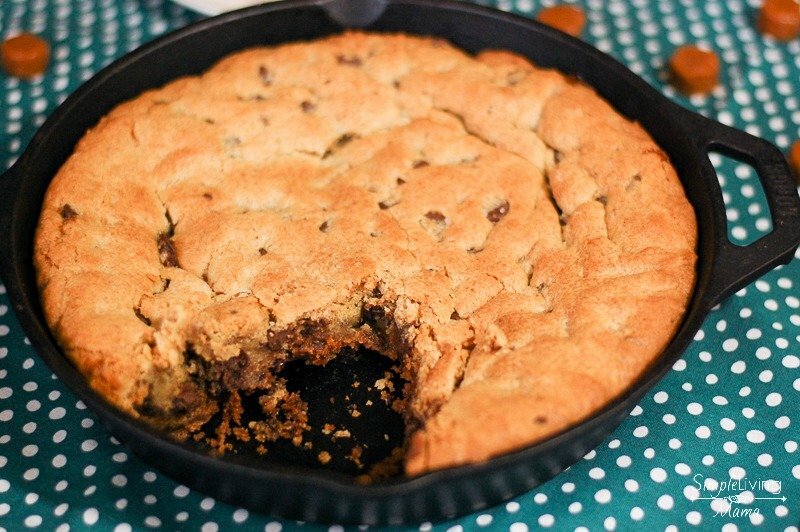 I was wracking my brain the other day wondering what dessert I should make when I decided I would try my hand at a giant chocolate chip skillet cookie. 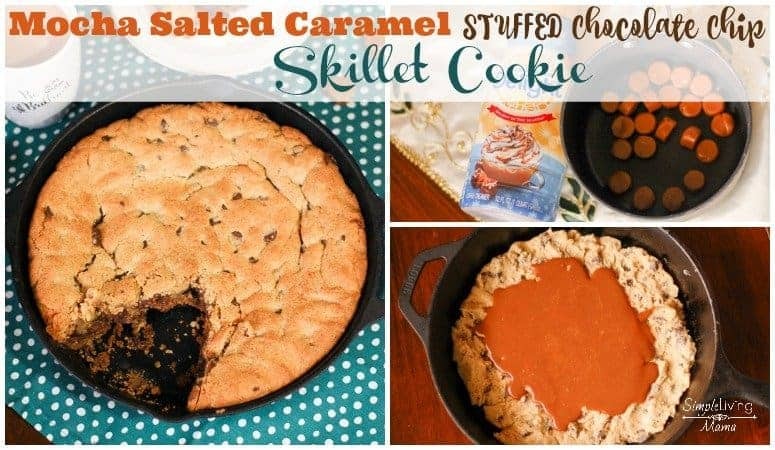 But, I didn’t want to make just any skillet cookie. 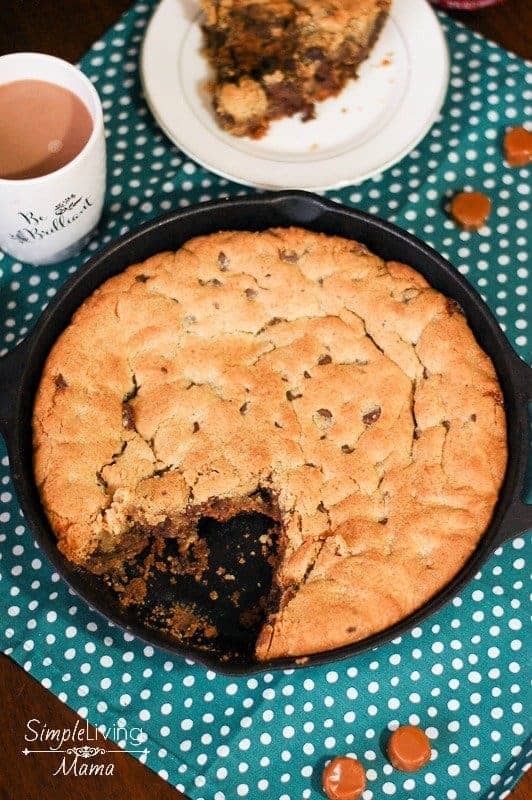 This one is a mocha salted caramel stuffed chocolate chip skillet cookie. Oh, yeah. All of my favorite flavors in one delicious dessert! To make the skillet cookie, you first need to gather your ingredients. Then, cream the sugars and butter. Add the vanilla and eggs and mix until combined. 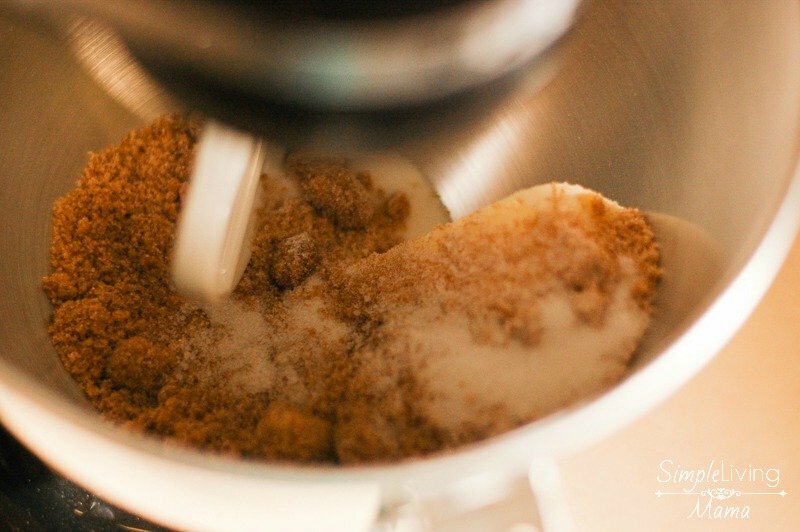 Add all of the dry ingredients to the butter mixture until incorporated. 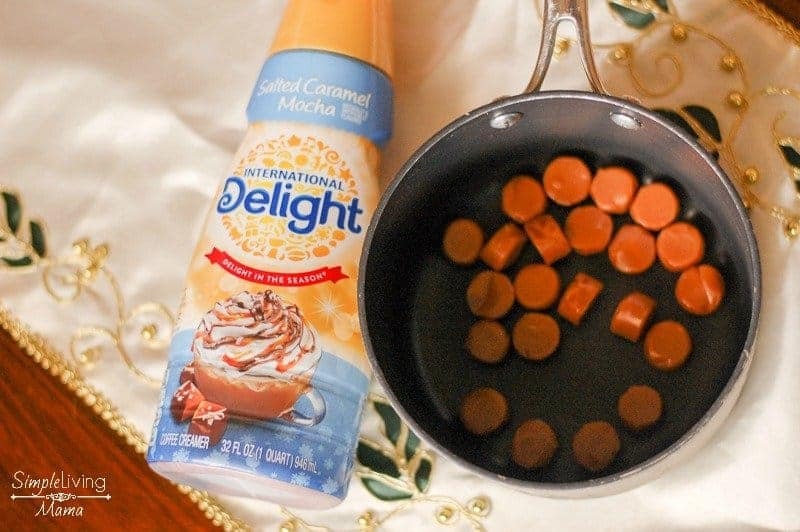 To make caramel sauce, combine the caramels and creamer in a small sauce pot and heat on low until melted. 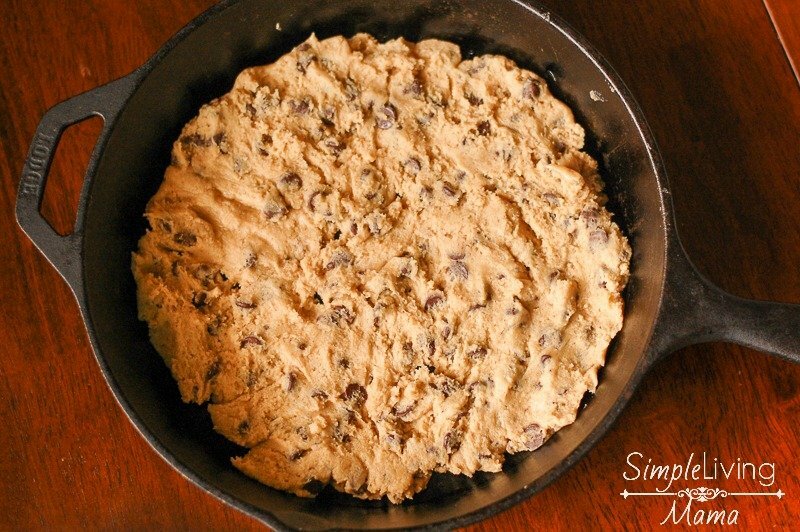 Press half of the cookie dough into a 12 inch cast iron skillet. Pour caramel sauce over the cookie dough. 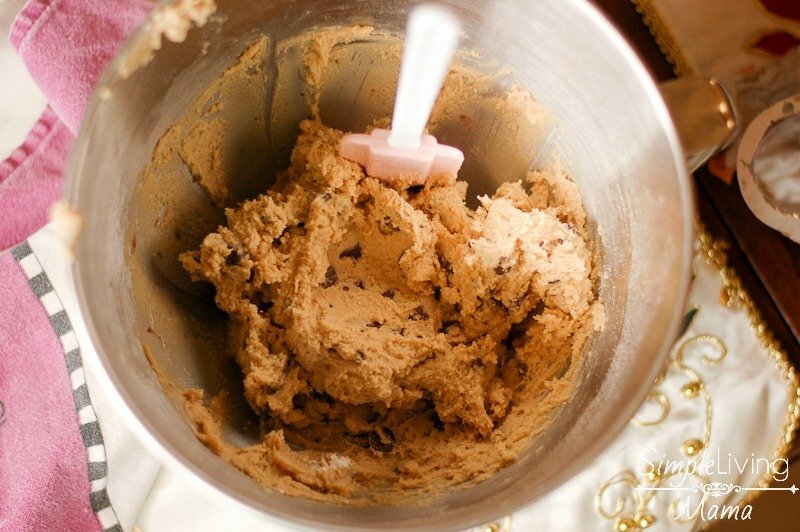 Press the other half of the cookie dough on top. Bake for about 35 minutes. Yum! 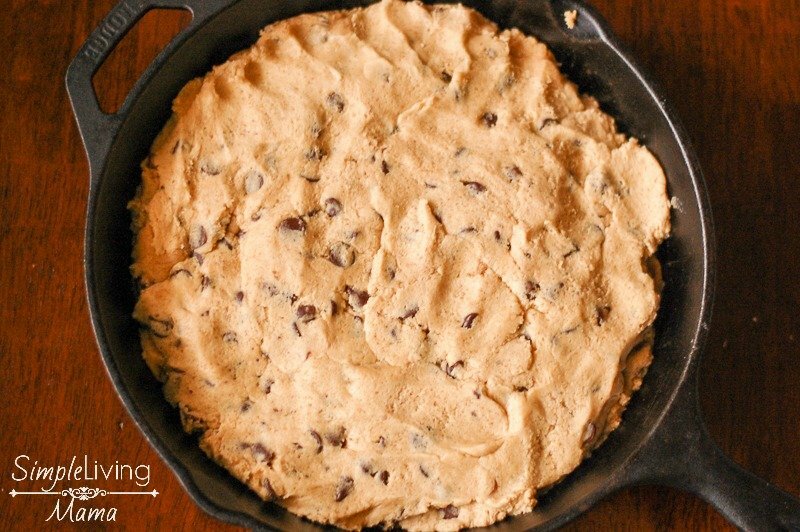 This skillet cookie is rich and delicate! It’s best served with a group of your closest friends and a cup of coffee! 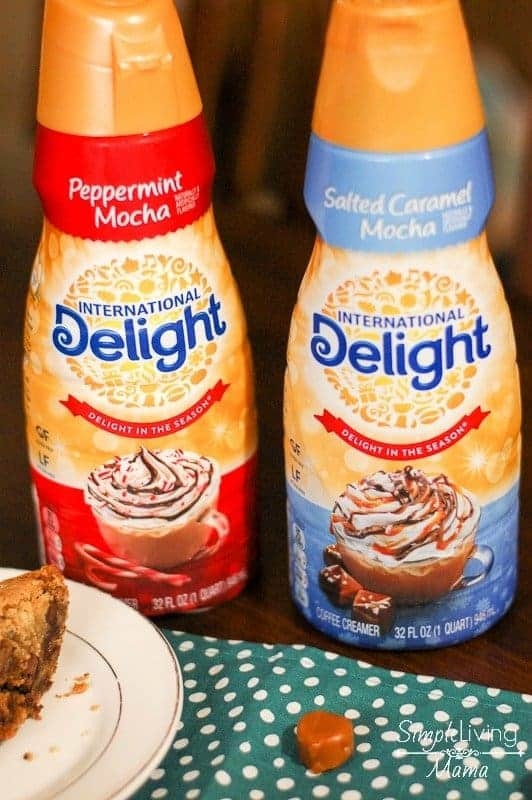 Speaking of coffee…Have you tried International Delight® Peppermint Mocha Coffee Creamer? It is so divine! I can have coffee shop flavored coffee every morning in my own home. My husband also really loves the Peppermint Mocha. 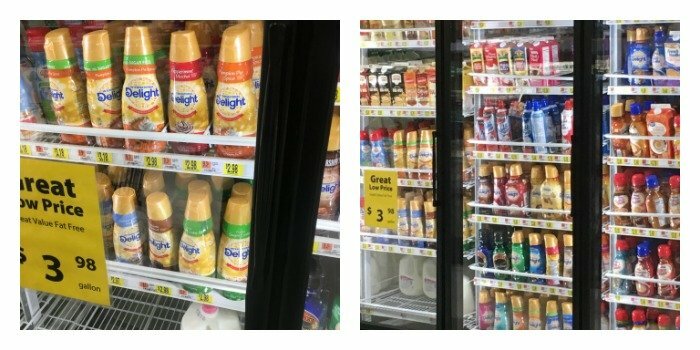 You can find the Peppermint Mocha Coffee Creamer, plus a variety of other delicious holiday flavors at Walmart. 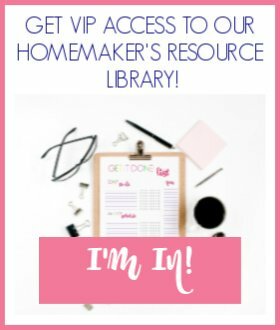 Go here for more delicious holiday recipes! I hope you can find time to make this dessert this holiday season. The skillet makes it so easy to transport to any holiday party and I just know it will be a hit! A delicious, decadent mocha salted caramel stuffed chocolate chip cookie. Cream the sugars and butter. Press the other half of the cookie dough on top. I love dipping chocolate chip cookies in coffee! It is better than dipping in milk. 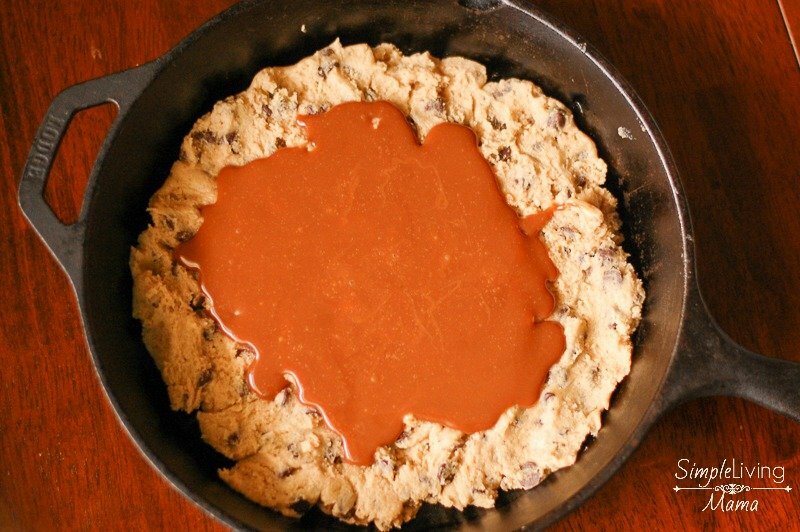 This skillet cookie recipe is perfect.